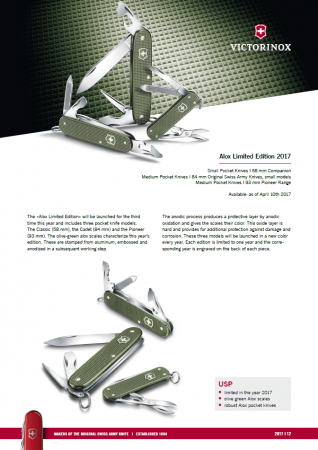 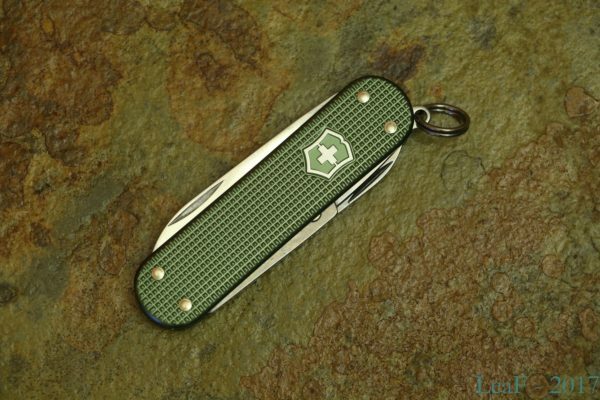 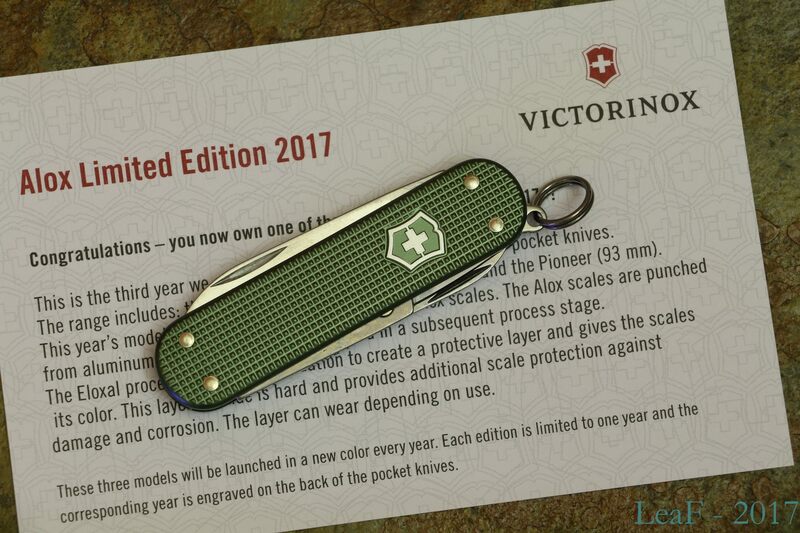 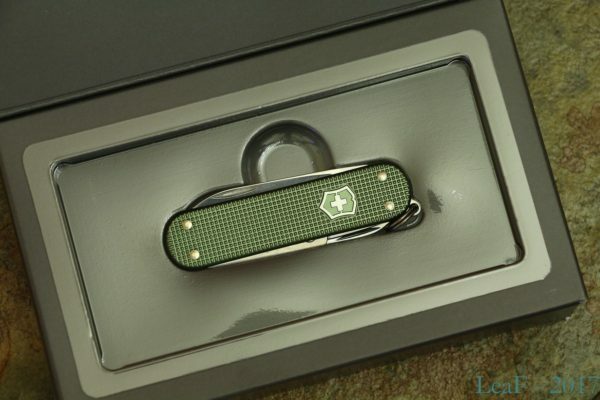 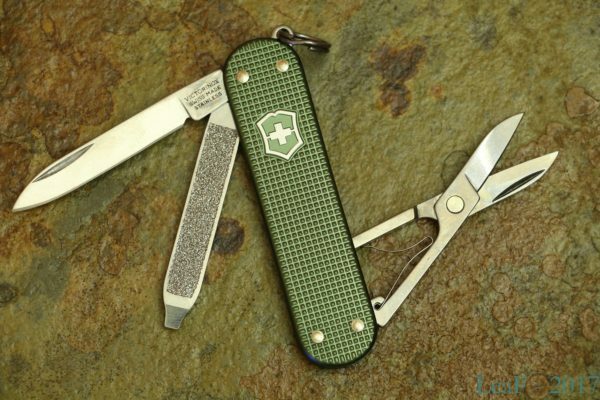 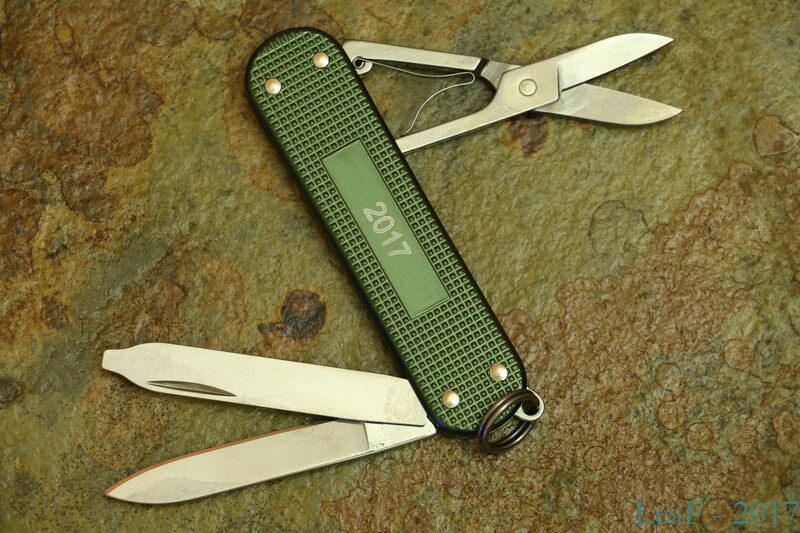 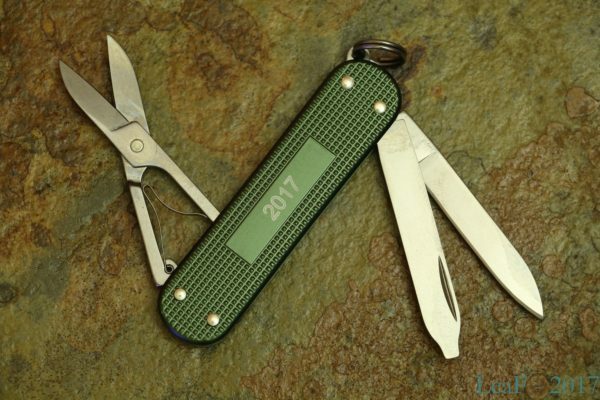 Previous post was about some Limited edition from 2017, so let’s continue this endless story..
Three years ago, as you all know (I’m absolutely sure by the way), Victorinox started new (every-year?) 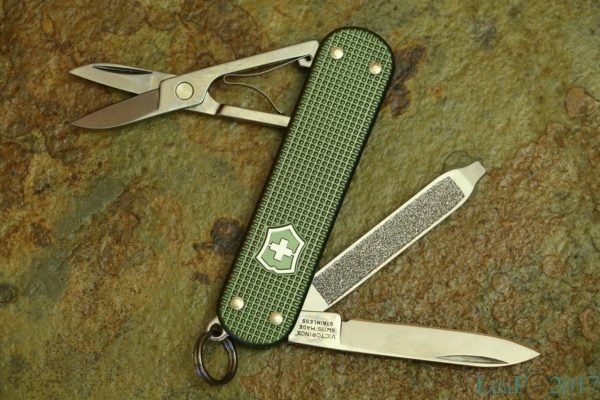 limited run of three Alox models –Classic SD, Cadet and Pioneer. 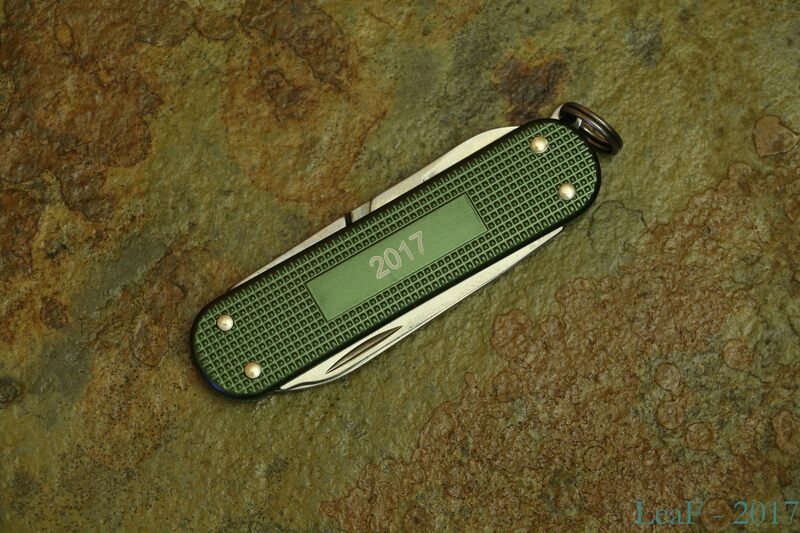 In order to make these knives more attractive, every run produced in new color, 2017 bring us an olive-green models. 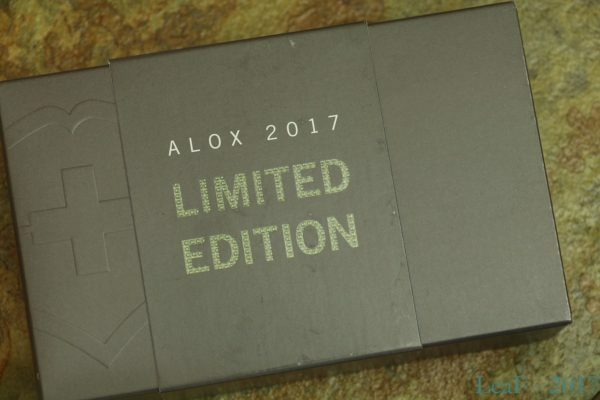 This time let’s start review all members of this LE from the youngest member, – Alox Classic SD LE 2017!